We had the great pleasure of scoring back stage press passes to see Soundgarden at Lollapalooza, since we were covering the fest and on several bands' guest lists. It's a show I'll never forget and we make a point to see them every chance we get. VIP Lounge backstage at Lollapalooza 2010-Wolfmother & Soundgarden-The music was amazing & we were all lovin' the ice cold, minty neck wraps in the August heat! ChiIL Mama, Du-Jay & Sagezilla pictured. 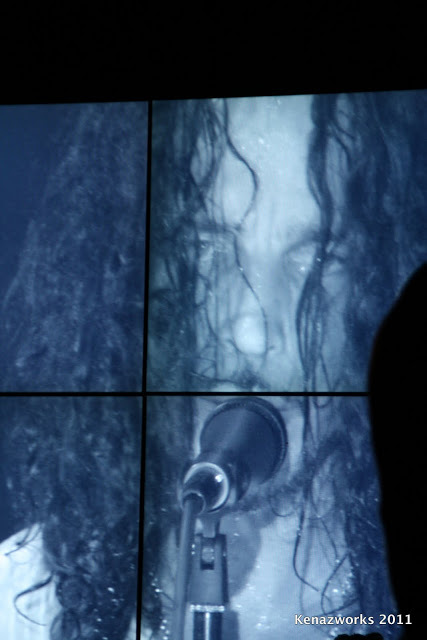 Check out our photo filled past Soundgarden coverage here. Soundgarden is heading to Chicago during their Winter 2013 North American tour dates which include two-night engagements in New York City, Toronto, Chicago, San Francisco, Los Angeles and, for the first time since the band reunited with their surprise show at the Showbox, Soundgarden will be playing two shows in their hometown of Seattle. This is the first North American tour for Soundgarden showcasing their new album, King Animal, released on November 13 via Loma Vista/Republic Records. The band has been headlining and playing to sold out crowds since they got back together over two years ago to critical acclaim. The New York Times said, "After 14 years between tours, Soundgarden was back in full force, its paradigm intact. This is one reunited band that can pick up right where it left off." With two Grammy® Awards and over 21 million records sold worldwide, Soundgarden redefined rock music for a whole generation and had a revolutionary impact on the course of musical history. At the dawn of 2010, the band, Chris Cornell, Matt Cameron, Kim Thayil and Ben Shepherd, announced a new beginning. In the last three years since Soundgarden has reunited, they released their first retrospective, Telephantasm, which was certified platinum, their first live album, Live on I-5, penned the end title song, "Live to Rise," for the feature film The Avengers which went to No.1 on Modern and Active Rock radio, and headlined sold-out shows and festivals around the world. Now, comes the band's first collection of new songs since the 1990's.